Find information about library services like printing, circulation, and study spaces. 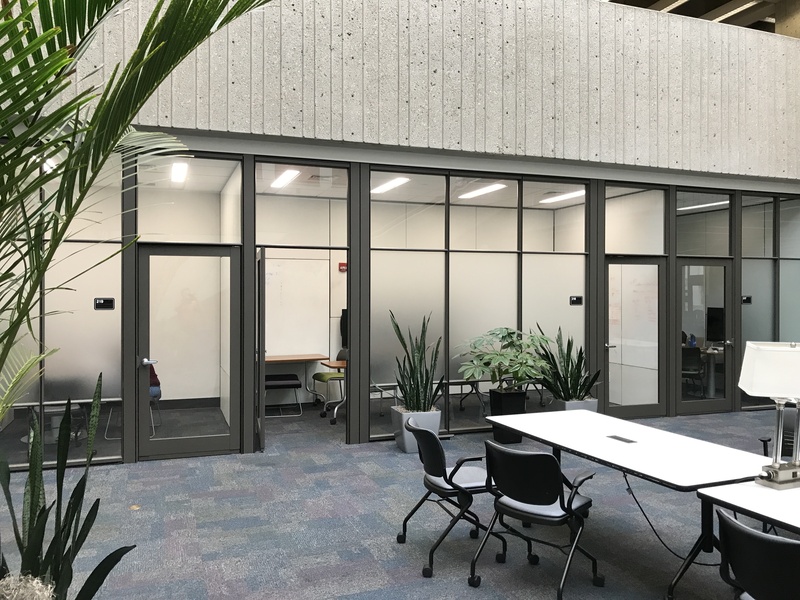 Second floor (main entrance floor) of the Health Sciences Library has open study space with large tables under the atrium, comfortable booth bench/tables, movable comfy chairs with armrests and couches, and 12 drop-in group study rooms. Dry erase markers are available for check-out at circulation desk for use on glass walls in study rooms. Reservations for study rooms are limited to schools and department personnel only. Third floor open study spaces have tables equipped with pyramid power cords, low traffic, four public computers and 5 drop-in study rooms. Reservations for study rooms are limited to schools and department personnel only. Second floor has 12 drop-in study rooms equipped with writable glass walls or glass boards. Dry erase markers can be checked out at circulation desk. 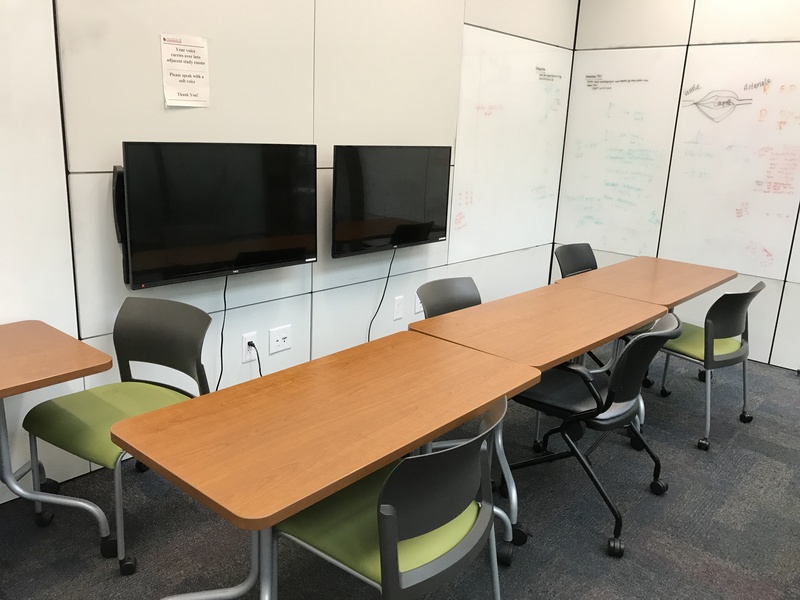 Six study rooms include large TV monitors. Cables to hook up laptops to the monitors can be checked out at circulation desk. Reservations for study rooms are limited to schools and departments only. Third floor has 5 drop-in group study rooms. Each study room includes a writable glass board. Dry erase markers can be checked out at circulation desk. Reservations for study rooms are limited to schools and departments only.